← Thrift to Fashion – Day of Wrong Edition! 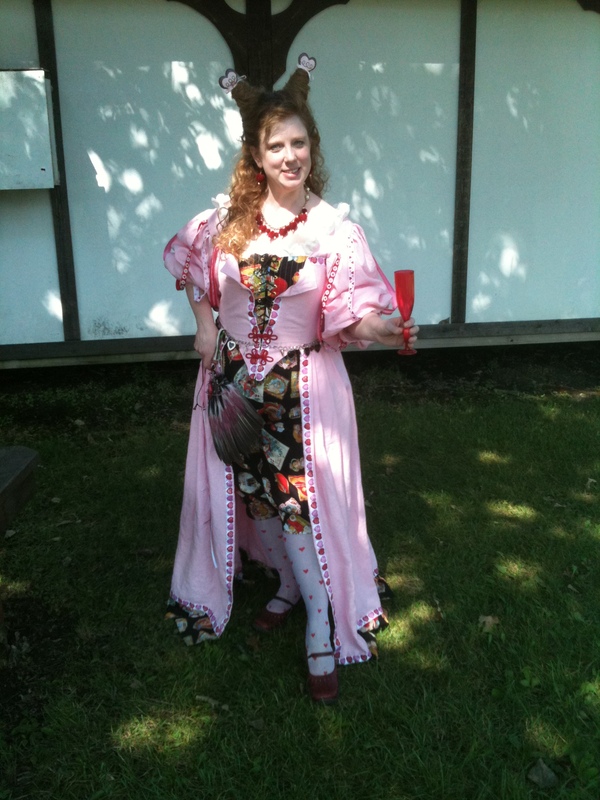 I am part of a group known as the Wench Posse, and we attend the Day of Wrong at the Bristol Renaissance Festival and the Minnesota Renaissance Festival every year. 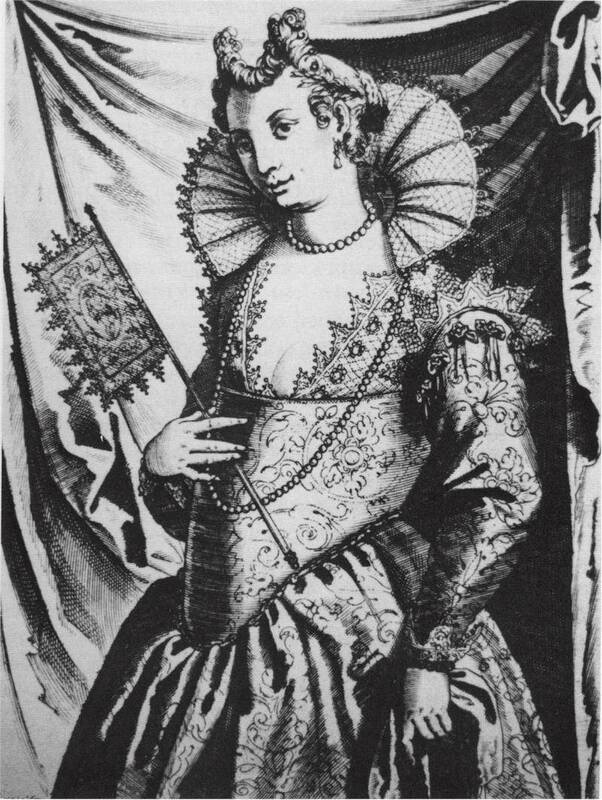 The idea of the Day of Wrong is to take a Renaissance style of clothing and make it, well, WRONG. 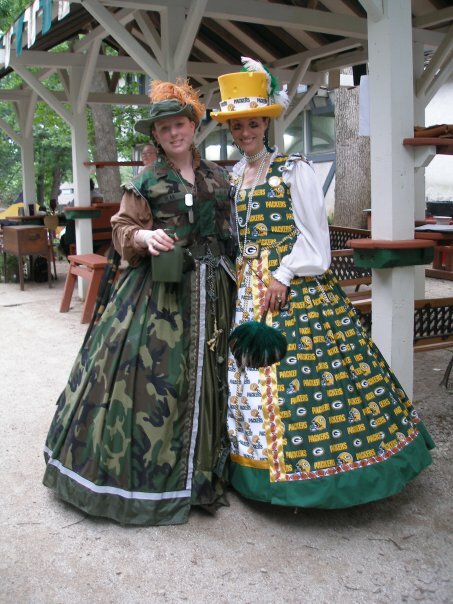 An example is below, of an Elizabethan style done in camo and Green Bay Packer fabric. The polka dot fabric is part of the iconic image that we think of when we think of I Love Lucy. But the hair, the lipstick, the pearls, the “I Love Lucy Heart”, the Vitameatavegamin Bottle and the girdle with the grapes and chocolates help sell the costume. I could have just done the dress and hair, but adding in those extra accessories takes that costume up a notch. For this year’s Day of Wrong our group decided to dress as holidays or other events such as Wedding Day, Sick Day, Fishing Opener, Halloween, etc. I went as Valentines Day. I decided that an appropriately themed style would be as a courtesan. 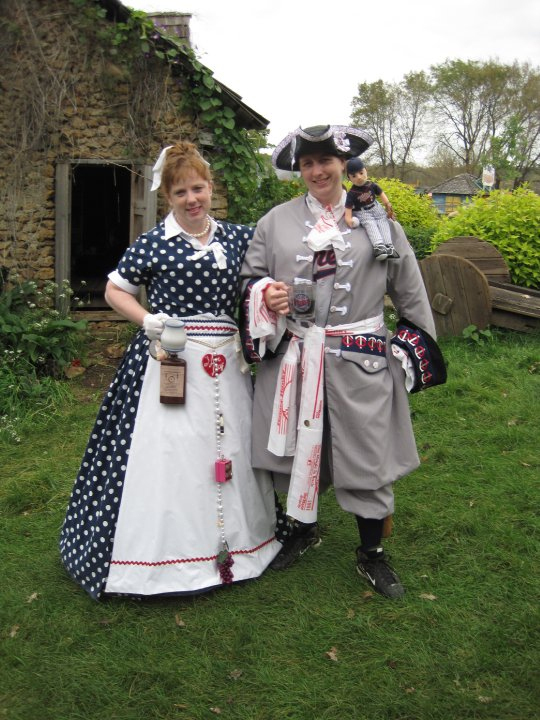 I made a pink linen gown with a vintage Valentines fabric for the guard, my bloomers/drawers and my faux corseted front. I attached heart ribbon from my sleeves, and sewed lace with hearts on it around my neckline. The buttons on my sleeves and my pants cuffs were little hearts. My necklace and earrings were made of velvet hearts that were made by me and Angie Kinser. The girdle was 3 heart necklaces from JCPenneys that were attached together. I wore heart stockings, red shoes and carried a red heart basket and a red plastic champagne flute. And on my head I wore horns. 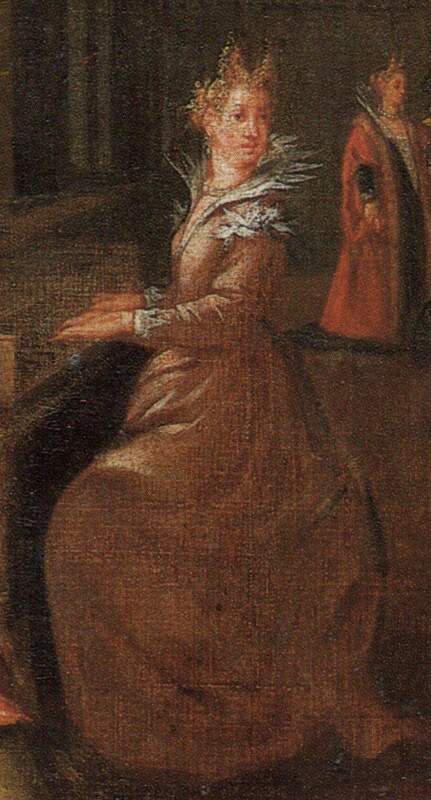 Hair horns were a popular hair style in Venice during the Renaissance and are featured in many portraits of the time. Stay Tuned! On Monday Laura will be discussing how to make hair horns!